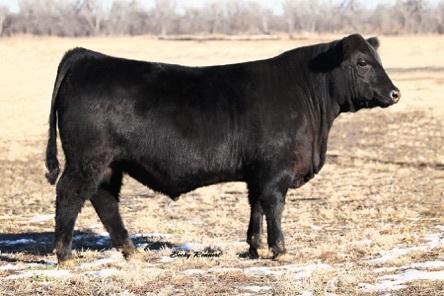 An outstanding homozygous black, homozygous polled 43% Balancer bull that hits all the targets for phenotype, pedigree strength, and genetic merit. The lead bull in Warner Beef Genetic’s Champion Pen of 5 bulls in Denver. Appreciated by all for his completeness and structural correctness. Fox News is the fair and balanced bull that offers maternal strength with a Stayability EPD in the top 2% of the breed and $Cow in the top 4%. Click here for current EPDs!